Get the CD with full-color, illustrated lyric booklet for all the songs from BINGOBONGO Rock Vol. 2 to use in the classroom, at home, or anytime you want to rock in English! We also have the album in MP3 format! SKU: CD2-CD Categories: BINGOBONGO Rock Vol. 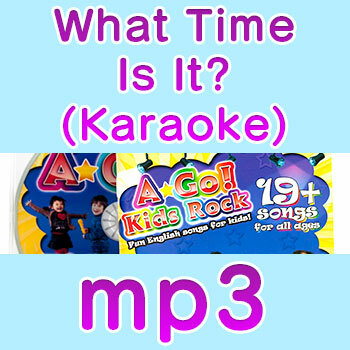 2, BINGOBONGO Songs Tags: 33 Things I Like To Think About, At 6:00 I Get Up, BINGOBONGO Rock Vol.2, Can I Go To The Bathroom?, Can You Fly Little Butterfly?, Colors And Colors, Five Cats (1 2 3 4 5), Hands Hands, Happy Halloween, Head Shoulders Knees And MOO!, How Many Monkeys?, I'm So Hungry, Intro, May I Go To The Bathroom?, Panda Bear Panda Bear, Seven Days In A Week (Simple Version), Students Did You Do Your Homework?, Walk All Day, What Can You Do? If you thought BINGOBONGO Rock Vol. 1 was good, wait until you hear BINGOBONGO Rock Vol. 2. This CD is full of great ESL songs to teach English to kids through music. It’s one of the best teaching resources we’ve ever used in our classrooms simply because kids love these songs. “Head, Shoulders, Knees, and MOO!,” “33 Things I Like To Think About,” and “Can I Go To The Bathroom?” are just a few of the songs that illustrate how effective music can be to motivate young English learners. Like BINGOBONGO Rock Vol. 1, these songs target specific grammar points and teach various essential expressions with catchy melodies. Many of the songs start slow and build speed to crank up the challenging fun. At any age or any level, these songs will be your go-to ESL teaching resource. Don’t forget to check out our free flashcards and worksheets to complete the learning experience and supercharge your lessons. 2. Head Shoulders Knees And MOO! 3. Can You Fly Little Butterfly? 9. Can I Go To The Bathroom? 10. Students Did You Do Your Homework? 18. May I Go To The Bathroom?